There’s really nothing easier than making a great cup of tea — if you start with great tea to begin with. Bring filtered water to a boil. Steep black teas and herbal infusions 5 minutes. For green, white and oolong teas, let water cool a bit to 190° and steep 3 minutes. 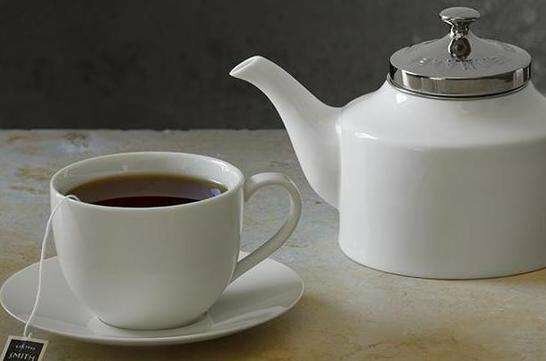 We know millions of words have been written about how, exactly, to brew the perfect cup of tea. So, if you do desire to make things more complicated, we suggest you follow the Simple Directions above while doing hard math problems in your head. If you’re truly fanatic about your tea, we recommend following the Complicated Directions above while riding a unicycle around your kitchen. You’ll find a full array of Teamaker-tested and approved accessories here, including variable temperature kettles, one-touch teamakers, Matcha kits, Smith teapots, cups and coasters. Everything you need to become an expert Smith tea maker yourself. As George Orwell recounts in his 1946 essay A Nice Cup of Tea, just three years before the birth of tea pioneer Steven Smith, “the best manner of making [tea] is the subject of violent disputes.” Although there are a couple of steps that are generally agreed upon, brewing tea can easily be tailored to individual preference, and many tea drinkers have refined their brew practices to create their own perfect cup. Below are a series of guides on how to make tea in sachet or loose leaf form. Use these to begin forming your personal steeping style, with just a touch of Smith Teamaker finesse. Instructional guides for how to brew hot tea, both in loose leaf and sachet form. In our Oolong Brew Guide, you will find information on the art of small pot brewing, or read about how to host a traditional Gong Fu tea ceremony in our Gaiwan Service Guide. A refreshing take on how to brew iced teas, read our guide for brewing one of our three signature iced teas, or learn how to turn any Smith tea into a chilled indulgence with our Single Serving Iced Tea Guide.